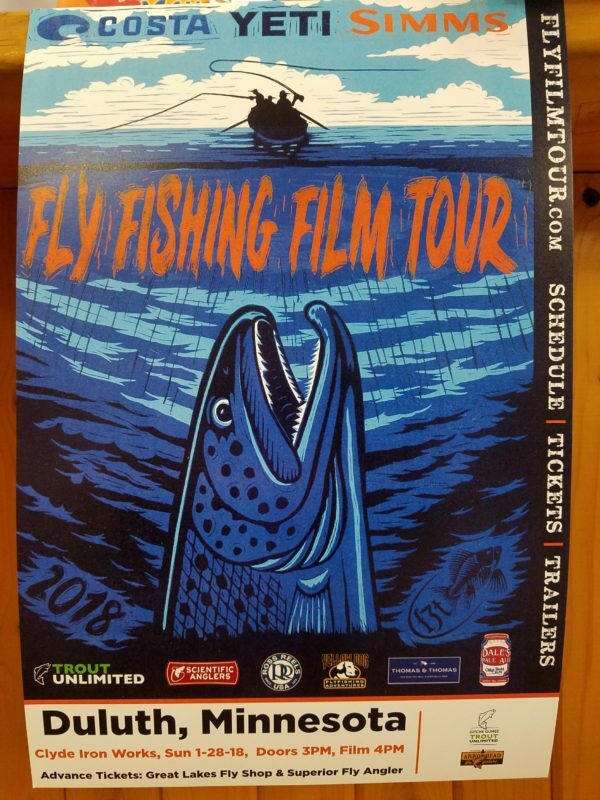 The Fly Fishing Film Tour 2018 will be held at Clyde Iron Works facility located at 2920 W. Michigan Street in Duluth MN. on Sunday January 28th at 4PM. Tickets are available at Great Lakes Fly Shop Cost at $13.00 at the shop and $15.00 at the door. Get the tickets at the shop that saves you two bucks to get a couple raffle tickets at the show. Speaking of raffles, you do not want to miss your chance of winning a 2017 wilderness working canoe designed and built by Cloquet boat builder Kevin Fredericks Cost of those tickets are $10.00 a piece but there are only 150 tickets available. Get your tickets for the show and for the raffle at Great Lakes Fly Shop. Cheers!